Sometimes after renovation we feel that our old, but still solid, bed doesn’t blend with the new interior style. Or it is already out-of-fashion. Or we just feel the need to change something in the bedroom. 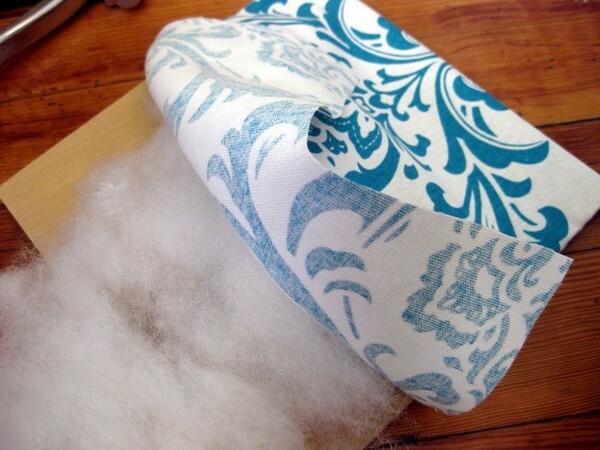 A nice way to do that is to create a new fabric headboard. There are plenty of ways to do that, but today we will tell you about a simple and money-saving one, which doesn’t require much skill and time. You can easily create it within a few short winter evenings! 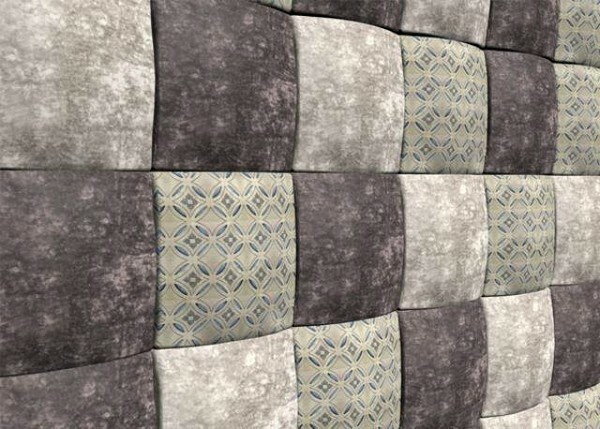 This headboard is designed to simulate wall tiles, but, unlike real ceramic tiles, it’s very soft and warm, and can add the sense of coziness to any interior style. 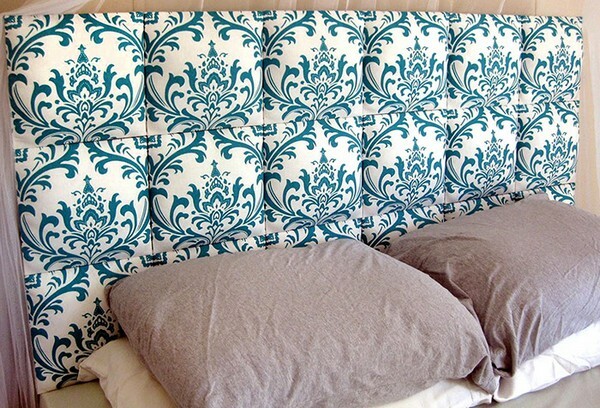 By the way, you can use this DIY to refresh your old headboard or to create a new one. 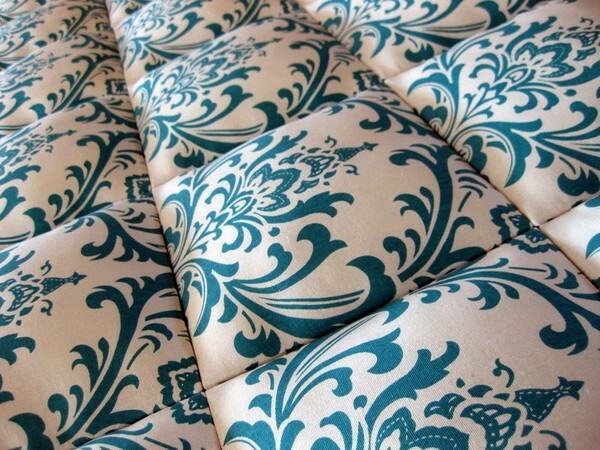 The sequence of actions is the same both for making new and refreshing old headboards. Firstly, we should prepare the “tiles”. 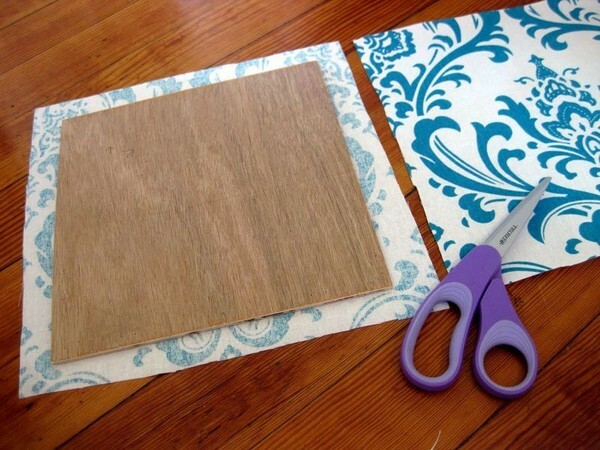 Cut your fabric into squares. The quantity of squares depends on the number of your plywood squares and chosen pattern. And their size is the size of plywood squares plus 5 cm on each side. Secondly, put a plywood square in the middle of a fabric square (reverse side). Staple fabric to the plywood on one side. So that the staple didn’t get through the plywood on the face side, it must be fixed at an angle. In the corner make a pleat, pull the fabric tight and then staple the corner. Then move on to the second corner. As soon as two corners are done, turn the “tile” over and fill it in with synthetic winterizer. 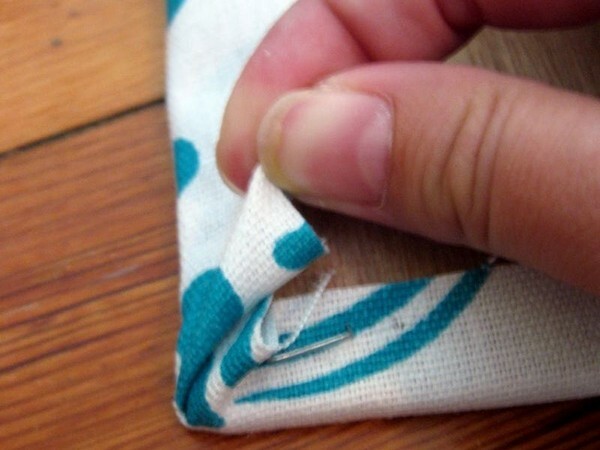 Then staple the fabric edges to the rest of the sides and corners. Tile is ready! 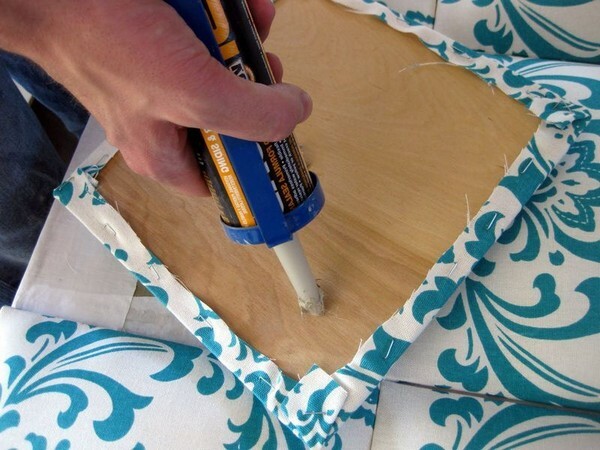 Thirdly, once you have prepared all the tiles, adhere your squares with a glue to the sheet of plywood or directly to the wall if you’re making a new headboard, or to the old headboard if you are restoring. Done! Use your imagination and such fabric “tiles” can be fit into any interior style – just take care about the right choice of fabric color and texture. 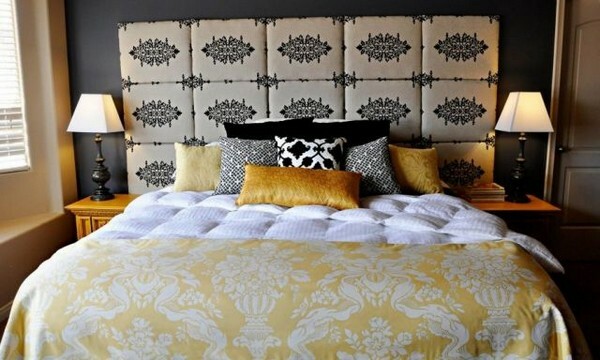 And if you liked this idea, you may even create a few headboards with different mood for each season of the year.